Canadian territory: An Indigenous camp (Unistoten, EIE)was ordered Friday to remove a gate that’s blocking a bridge in northwestern B.C. and holding up a multi-billion-dollar gas pipeline project. A mainstream media report that was posted on Warrior Publications. As it is an important issue, we make an excemption and republish this mainstream media report. We added a statement from the Unistoten Facebook page. Originally puvlished by APTN National News. Re-published by Warrior Publications. Written by Kathleen Martens. “People were crying but I feel emboldened because we are getting so much support,” said Warner Naziel of the Indigenous Unist’ot’en Camp – a land-based healing centre on Wet’suwet’en traditional territory south of Houston, B.C. The locked gate on the Morice River Bridge must come down within 72 hours, the judge ruled. She described it as an “interim” injunction giving the company access while defendants Naziel, and his partner Freda Huson, mount a fuller defence to the injunction and additional civil suit. Church said she will hear more arguments on Jan. 31. “That gate is a safety issue for us,” said Naziel. Coastal Gaslink told court it can’t re-route the pipeline. It said it won’t disturb camp buildings and people can remain on site. “The camp that’s there will remain as is,” said CGL spokesperson Jacquie Benson in an interview prior to the judge’s ruling. “They should feel secure in knowing the camp’s operations will remain unaffected,” she said. Benson reiterated the legal action was taken after camp operators and Wet’suwet’ten hereditary chiefs rebuffed repeated attempts to reach a solution. “We’ve had 120 in-person meetings with Wet’suwet’en hereditary chiefs over the last five years,” she said. But the Uni’stot’en have refused to budge, saying they reject fossil fuel development on their land. “I’m heartbroken,” said John Ridsdale, hereditary Chief Namoks, after the ruling. That was Enbridge and its pipeline project, Ridsdale noted. CGL told court it had a tight timeline and needed to start pre-construction work. It needs to clear trees and do field work one kilometre south of where the bridge and camp are located. “We appreciate the court’s decision today in providing us with an interim injunction to move forward with our pre-construction activities,” the company said in a statement late Friday. Twenty First Nations along the pipeline corridor have signed agreements with CGL supporting the project. The company said it move forward “respectfully and safely. “We understand there are individuals who do not share the same opinions about this project, and we respect that. We simply ask that their activities do not disrupt or jeopardize the safety of our employees and contractors, surrounding communities or even themselves,” it said. 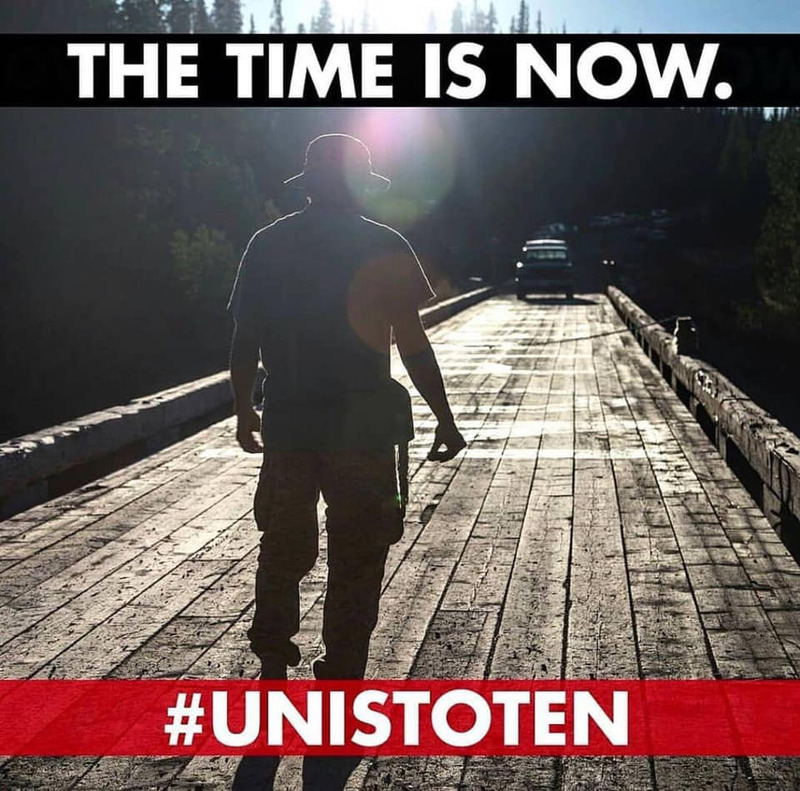 In a first statement on the Unist’ot’en Camp Facebook page, the pipeline resisters said: An Interim Injunction was granted with an Enforcement Order to take affect in 72 hours. An extension of time was granted. We have until Jan 31, 2019, to respond to the volumes of affidavits presented by CGL. –Adjournment of the hearing of the plaintiff’s (Coastal GasLink) application for an interlocutory injunction to a date to be set no later than May 1, 2019, unless the parties agree otherwise. –Extension of the time for the defendants to file and serve an application response, and a response to civil claim to Jan. 31, 2019.